Nov 01, 2018 in "Epcot International Festival of the Arts"
The Epcot International Festival of the Arts at Walt Disney World Resort will begin January 18 2019, and will continue for 39 days through February 25 2019. Disney on Broadway Concert Series expands to seven days a week during the festival in 2019. 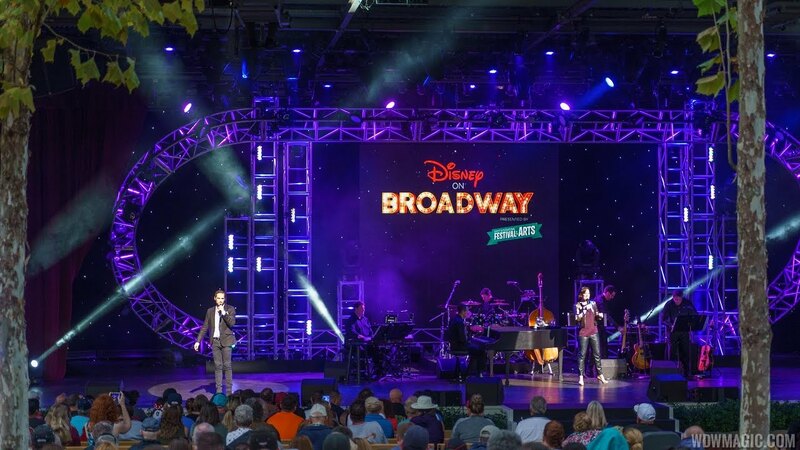 Each week, different pairs of Disney on Broadway stars will take the America Gardens Theatre stage to sing favorite songs from award-winning Disney on Broadway productions. Art collectors and Disney enthusiasts alike will find artwork for sale throughout the entire park, from the Art of Disney store to Festival Markets. In addition, special merchandise will be available at Mouse Gear and other Epcot locations featuring the festival’s logo adorning shirts, mugs, totes and other items. Details on workshop registration will be released soon.